Sarah Capel joined the College of Education Board in 2015. She holds a juris doctor from the University of Virginia and a bachelor’s degree in American Studies. She is currently pursuing a master’s degree in Christian Practice at Duke Divinity School (expected July 2019). Sarah practiced law at White & Case in New York and in the SAS Institute’s Legal Department prior to becoming in-house counsel at Capital Associates (commercial real estate) for fifteen years. She is also an active volunteer; Sarah participates in the N.C. Conference of the United Methodist Church (NCCUMC), serving on the conference task force on dismantling racism, and previously on the Board of Ordained Ministry (2012-2016), the Bishop’s task force on Seminary Debt Reduction, and the NCCUMC seminary scholarship committee. 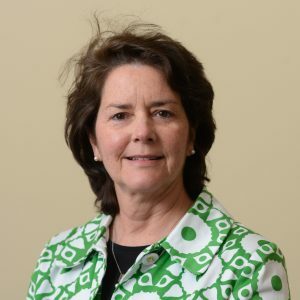 She is an Adult Sunday School teacher and Staff/Parish Relations Committee member at Edenton Street United Methodist Church and has served on the Saint Mary’s School National Advisory Board since 2015. Sarah is married to Christopher Capel of Smith Anderson Law Firm, with whom she has three children. Her hobbies include boating, cooking, reading, bridge, golf, cycling, Pilates, yoga, cardio-tone, and all dog-related activities.